If you are considering Surrogacy, obtain the services of an attorney experienced in surrogacy and third party reproduction that is knowledgeable with International law. 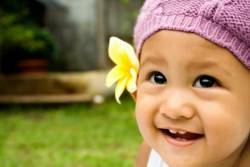 International Surrogacy can be a viable option to Intended Parents. There are tedious matters of the couple or the individual who wishes to bring their baby home. Does my country allow Surrogacy agreements? Will my country accept compensated Surrogacy? Does the law in your country legally afford you parental rights? Does the law only recognize the Surrogate Mother as the child’s legal parent? Will your child be a citizen of your home country or the country where the baby was born? How do you obtain a passport for your baby? Or will your country reject the baby’s entry? Due to the fact that the process has given rise to a lot of ethical concerns, International Surrogacy laws –can be hard to understand. It is most crucial to seek the advice of an surrogacy lawyer to be advised on the law in your country. International Surrogacy law remains unsatisfactorily settled in many countries. Armenia, Austria, Germany, Norway, Sweden, and France prohibit Surrogacy agreements. Belgium, Greece, Ireland, and Finland practice Surrogacy but infertility treatment dedicating Surrogate Mothers are not governed by law. Some countries only allow altruistic Surrogacy agreements. Placing ads or searching for a Surrogate Mother is strictly prohibited. This deems true in Australia, Denmark, Israel, Spain, UK, Canada, and the Netherlands. Surrogacy brings together amazing stories and the most dedicated, unselfish Intended parents on their Journey to see their dreams come true. With Surrogacy being dominant in different areas of the world even the LGBT community and singles can fulfill the desire and dream of relishing in parenthood. When it comes to finding a Surrogacy clinic, Mexico becomes the internationally prevalent choice. Not only is it affordable, it is chosen for the availability of innumerable treatment options and expertise with Surrogacy arrangements.